This is not ‘Crazy Rich Asians’ this summer’s box office hit, but rather the performance of Asia and Asian wealthy people. New York is losing its crown as the city with the biggest super-rich population to the extreme wealth rising up in Asia. According to Wealth-X, a research firm that studies the world’s wealthiest people, Hong Kong has surpassed the Big Apple as the city with the highest population of people worth at least $30 million. This is equivalent to a 31 per cent jump from 2016 to 2017. 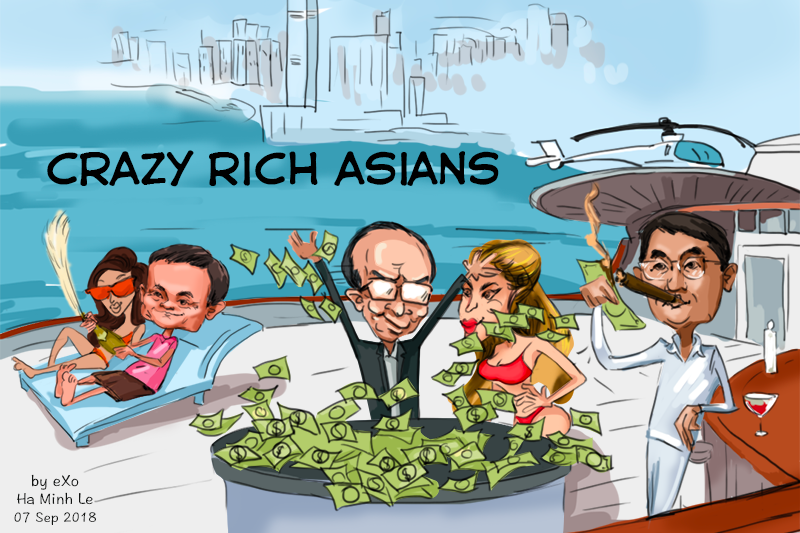 The combined riches of Asia’s ultra-wealthy is now $8.365 trillion, based on the same report. This is mainly due to China’s rapid economic growth in recent decades. The Chinese economy has grown by more than 6 per cent compared to 2 per cent in the US. China’s per capita income has more than quadrupled over the last decade. Asia’s dramatic uptick has also been helped by a wave of crazy rich entrepreneurs who are capitalising more and more on the tech industries. Among Hong Kong’s most prominent billionaires is Li Ka-shing, whose Cheung Kong (CKHUY) empire controls ports, telecommunications networks and energy companies across the globe. Not to mention the wealthiest Asian citizens like tech tycoons Jack Ma and Pony Ma, who founded Alibaba and Tencent respectively. Over the coming years, many Asian countries will continue to grow at a very fast pace. And although the majority of wealth is coming from China, a significant proportion is from countries like Vietnam, Indonesia, Bangladesh, Tokyo and Singapore. At this rate, the scale is leaning to the right and we will be seeing more and more Asian cities among the list of the super-rich and super-wealthy.